Remember a time when anything seemed possible? At BricksBen, we hope to bring you creations that bring back the sense of wonder in you, or put a smile on your face. We believe in using LEGO® elements to create art that’s accessible to all. All our creations are available for sale, and we can help you create your own LEGO® masterpiece – just give us a shout here! Benjamin Cheh (aka “BricksBen”) is an award-winning designer from Melaka (Malacca), Malaysia. His achievements include the MPAS (Magazine Publishers Association of Singapore) Designer of the Year 2012 (see here and here) and Best Magazine Layout at the Asian Publisher Awards 2010. When it comes to LEGO® creations, he loves to do it Gundam-style, but he’s equally comfortable building anything with loads of detail. Ben’s mecha creations were put on display at Iluma Singapore (now Bugis+) in 2009 and 2010 at the invitation of the Nanyang Academy of Fine Arts, Singapore. Jeffrey Kong (aka “BricksBeng”) is an editor, translator, photographer and music teacher from Singapore. 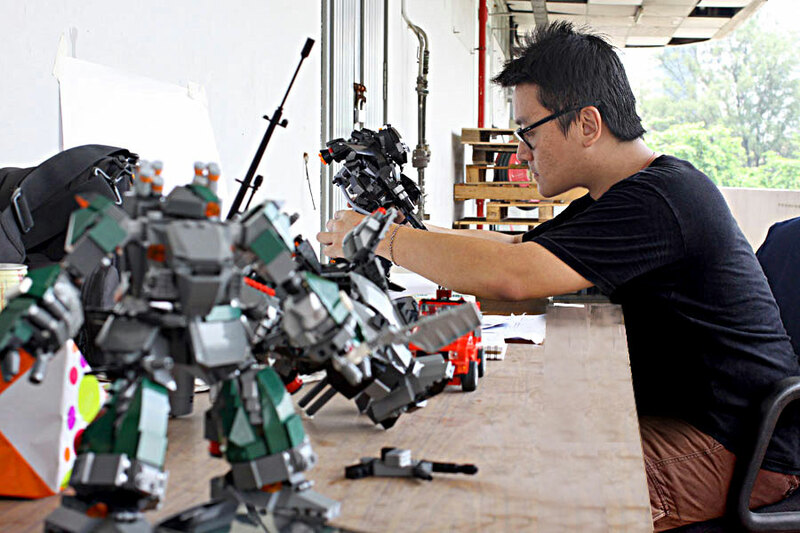 Inspired by Benjamin Cheh’s amazing mecha creations, Jeffrey works with Ben to prove that it is possible to build anything out of LEGO® elements – and tell a story in the process! He is a firm believer that small can indeed be beautiful. 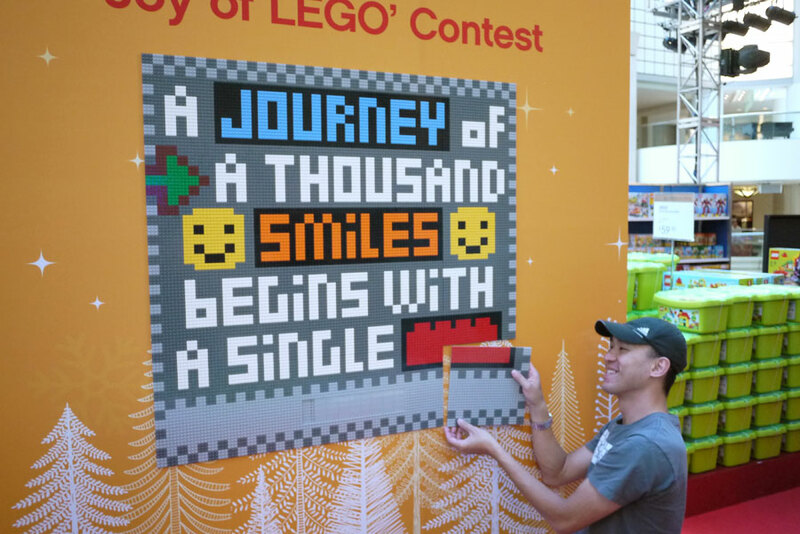 Jeffrey is the grand winner of The Joy of LEGO® Singapore 2012 mural design competition (check out his winning work here). His 1.5-metre-long mural was put on display at Raffles City Singapore in November and December 2012, and thereafter in the office of LEGO® Singapore.